Two people full of creative inspiration, namely Amy Burvall (@amyburvall) and Simon Ensor (@sensor63), pushed Steve Wheeler (@timbuckteeth) reflective capacities while sending him the #blimage challenge. From Steve Wheeler the challenge leaped over to the inspirational David Hopkins who wrote up a bloppost and sent the #blimage challenge my way, and right about the same time an additional picture came for the same challenge, sent by Whitney Kilgore (@whitneykilgore)... action was needed! Multiple people have taken up this new challenge and Simon Ensor has made a wonderful Pinterest Blimage board, providing an overview of most #blimage messages and posts. It is now turning into an informal relay challenge connecting educators from everywhere... nice. To all: I gladly take up the #blimage challenge! And will send it on, up up up into connected space. Warning: I will go beyond rational, right into utopia. What is the #blimage challenge? “You send an image or photograph to a colleague with the challenge that they have to write a learning related blog post based on it. Just make sure the images aren’t too rude. The permutations are blimmin’ endless.” Steve Wheeler, 2015 and adding a remark from Amy Burvall: "push one’s metaphorical thinking". 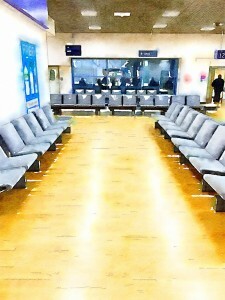 David Hopkins sent the following picture (taken at flight terminal and enhanced with his iPhone) to inspire me to write. At first informal, mobile learning arose as an idea, but then I read Whitney Kilgore's blogpost and it was so well written I decided to look at the picture from another angle. I love learning on the move, whether it is on a train, a plane... anything that moves and allows me to reflect. It feels like staring into the abyss of my own mind, in search for wells of knowledge that seep up. Airports are strange places. It might look like a mixed set of people, but it isn't, a bit like education. People with enough money and legal papers and are able to travel gather in airports. Schools and universities are fairly similar. Passengers check in (if all papers are in order; cfr diploma's, degrees, grades...), next they follow a route of their choosing, or chosen by their company (cfr school, sometimes chosen by parents), and finally head for a destination that might be within their country or right at the other side of any hemisphere (depending on the money and papers available). Airports, like education are not inclusive. And I wished they would be. But maybe I am a utopian, a believer if you will. In my wildest dreams I fantasize about a world that is nomadic like the Crow. Every 20 to 30 years they need to search for new ground. In a wonderful book written by Jonathan Lear, called Radical Hope - and please buy it if you can, it was such a pleasure to go through - this quest for new ground is seen as a way to keep an open mind, to find new challenges that can be overcome and at the same time inspire us. There is something to be said about new challenges, both in life and in (lifelong) learning in particular. New challenges awaken new capacities, new insights, new meaning. And by creating new meaning, we - as a human race - might come closer together. As I said, I am a utopian. Setting out new challenges also ignites the autotelic mind, as described in the Flow by Mihaly Csíkszentmihályi (a superb book on learning by means of goal setting to achieve a state of happiness), in which we can adapt our mind to find more meaning, and as such more happiness by learning in gradually more complex yet pleasurable ways. Where was I? Ah yes, airports and the fantasized nomadic world. In my most positive minds eye, all of us are able to relocate ourselves to a different part of the world every let's say 20 years. All of us, entire families. In my minds eye we move and then we learn in that new environment, achieving a new understanding of all the different cultures - or residues of cultures, as a mix and blend is bound to happen. This results in global adaptations: no matter where we go, primary living conditions must be achievable for all at all locations: water, food, work or meaningful play, education. This means money or more specifically wealth is limited by a global rule that indicates that non of us need more money that what we need to fulfill out basic needs, plus achieve a personal objective of comfort (which is a democratically chosen definition). At that point education will be inclusive, airports will comprise of all types of people, and traveling will be the pursuit of meaningful change and illumination... but what becomes of culture then? Inspired by the picture sent by Whitney of Finding the Big Red Ball, my mind started wondering about what this global nomadic life would mean culture wise? Anyone into research or management or seemingly serious other professions knows that any white paper, thesis, dissertation, speech... blog only comes to life if some kind of cultural pearl is added to it. In fact adding a cultural token provides whatever you write with an extra dimension, almost a self-chosen stamp of approval. Quite amazing, as culture is at the same time seen as something less important, or should I say something less serious then many serious profession? Learning is value laden, just like culture. Therefor cultural artifacts are one of the most symbolic and easiest objects to use to make distinctions of any kind: what is good and what is bad, what is man and what is woman, what is North and what is South, what is advanced and what is past... endless dichotomies. 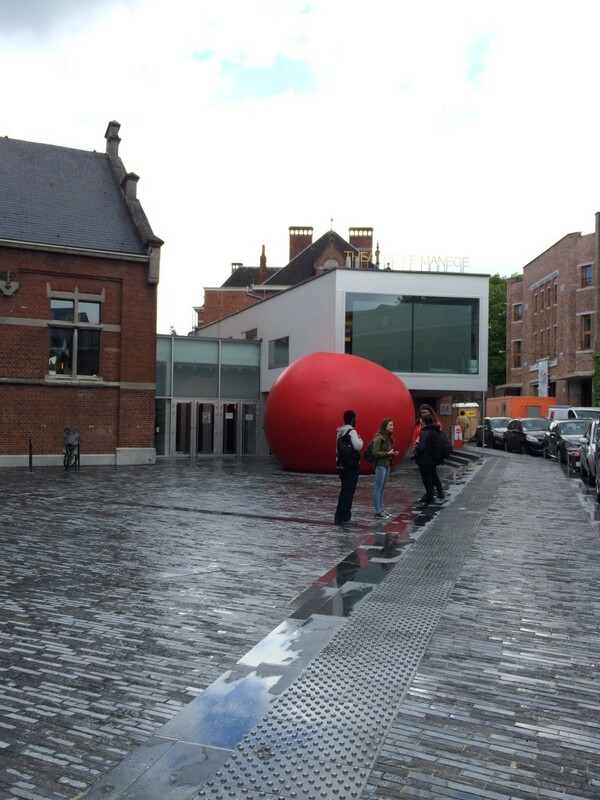 Even the simple act of adding a Big Red Ball to a city, gets discussions going on art ("Is this Art?" <=> "This is a great metaphor! "), culture ("Should we spend money on this?!" <=> "I would love this in my city, I know just the right spot and it will inspire people!")... 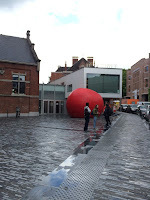 and at the same time the Big Red Ball emphasizes the fact that the city (in this case Mons, Belgium in 2015) is a cultural city, triggering reflection, hence happening. Passing the #Blimage baton to the next, with this picture, a drawing of the inspirational artist Yslaire . Learning comes natural, and happens on a daily basis.As soon as the learning gene is put inside of us, we learn. We have to. We learn on our own, from non-living objects, in collaboration with all there is in the world, with all that interests our senses. And at every moment, it is the change that we feel or think we feel which we call learning. As such it is never the content which makes the difference, but the change that is taking place due to stimuli from within and/or from the outside. At times we think we must teach others those things we have learned, in the ways we learned them ... because it worked for us. My 4 year old son showed me yesterday that the person makes the journey, not the skills of others, not his parents learning paths, not the same approaches, ... but he himself with all that is inside of him. I turned 48 two days ago. It was a simple, wonderful day, which made me realize once more what happiness is and how lucky I am. Just getting sung at in the morning 'lang zal ze leven...' by my beloved one's, talking over breakfast, the three of us watching an animated movie about a bee (Maya) who will at the end solve chaos by making two opposite parties work together, and during the evening (thanks to a wonderful MitMit) going out for dinner, just Ciska and me. You know that you are lucky if simplicity equals happiness and a regular day is filled with conversations and occasional laughter. Each of those moments is precious, and I value them dearly. I value all the people I know, and I am grateful for all those I encounter. As a mother that only just started to understand a tiny bit of what it means to be wise, I set myself one goal when my (our) son was born: to - hopefully - let him grow up to be happy. To be in tune with himself wherever he chooses to go. Keeping this motto in mind, I make choices, or I react to circumstances if I think his happiness might be under thread. 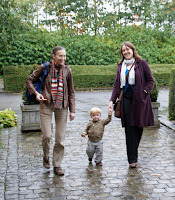 Yesterday, Isaak and I went to visit family. After a while I got uncomfortable with what one of the kids did, he (2 years older then my son) kept teasing Isaak, throwing things at him, thumping him, although Isaak asked him to stop a couple of times. I signaled my son to come inside of the house for a moment, and I told him: "pick up some plants too and throw that to the other child. He will most likely stop with throwing things at you then". My son did it, but the other kid kept on throwing things, now with more energy. I am not much of a talker under such circumstances. I am more of a mother hen: my eyes get tiny and I become more focused in a peculiar way. So, I step outside to get closer to my son. The playing continues, and my son gets pushed, once, twice ... I make a remark not to push my son anymore. Nothing threatening, just a verbal, clear sentence. And as he is pushed a third time, the Change-that-I-try-to-Avoid happens. I step forward to the kid, blasting out loud, being the fury that I can be, telling him never to push my son ever again, not now, and not even when I am not looking for I would track him down no matter where he would be. The space where we stood froze. I always had this trait, it comes natural to me. Every single cell is activated, and from my inner core the anger starts to twirl until it comes out in a roar... a bit like a gargoyle warning off evil. I have used this physically born energy on multiple occasions, for both physical and mental purposes, as such I feel it is at times a helpful trait. For me, pushing back, claiming my place loudly, and being prepared to back it up with more is the right thing to do... for me. My son turns to me and says: "Mom, I am sorry. I did try to throw things at him, but it looks like I did not do it right." and he looks at me with his big eyes, feeling sorry that I got mad because of him. All the energy turns to flatness, as I realized I tried to 'solve' something of his life, my way. And my way is not who he is. He is not a person that throws back whatever is thrown at him. He does not have the anger, and he does not need to have it. What he does, is turn things around. He comes from a different background, a different time, even from different genes... him, my beautiful son. He is his own beautiful self and he knows - intuitively - how to work with his knowledge and his environment and solve things his way. The way he acts is even described in the earliest tale related to his name. My son is the wisest, I am only one of his gargoyles. Plato said that knowledge is innate, and that learning is the development of ideas buried deep in the soul ... It seems my son's soul is much more in tune with peace and wisdom than mine. So today, I write some more, asking questions, in a quest for knowledge and especially wisdom. My teachers have many faces, and one is very kind. Looking for a full-time #PhD option in UK, act now for the Wild card! If you are in that phase in your life, where you think "I want something else... I would love to engage in a satisfying, cognitive experience where at the end I might get an Internationally acclaimed PhD ... then get cracking now!". If you have an interest in Open Educational Resources (OER), Learning Analytics and/or Technology Enhanced Learning (MOOC, mobile learning, online education), this is you potential golden card, as it is now officially a Wild card, as the last of the Leverhulme Doctoral Full-time scholarships is now up for grabs. And the key action is: get your idea out there, and defend it to one of the World leading learning analytics scholars out there: Bart Rienties. I know the man (enlightened visionair), I know The Open University (a truly wonderful and nurturing research environment situated in Milton Keynes), and I know some of the opportunities (enhanced OER thinking, learning analytics... the basis of new departments across the globe)... it will be worth your while! The wild card? In fact the scholarships would have been taken by now, luckily, Bart Rienties felt that there is one more to be added, a specific, unique idea that would really make a difference in education, or show creative ideas, that would provide new educational evidence-based insights. So, although the formal deadline has been exceeded (see the formal description and information on the full-time scholarship here), there is one full-time scholarship remaining. Go for it immediately, the first one to make an impression will get it! The Centre for Research in Education and Educational Technology (CREET), at the Open University has an international reputation for the quality of its research. Providing research students with a supportive environment and excellent research facilities ensures a future supply of first class researchers. 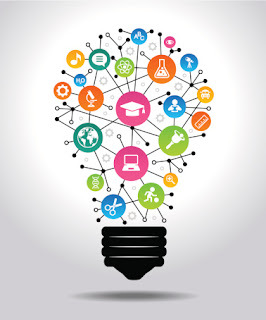 CREET offers you a unique opportunity to study for a PhD in Technology Enhanced Learning, Learning Analytics, Open Educational Research, Education Language and Literacy Studies, with guidance from world-class experts in the field. 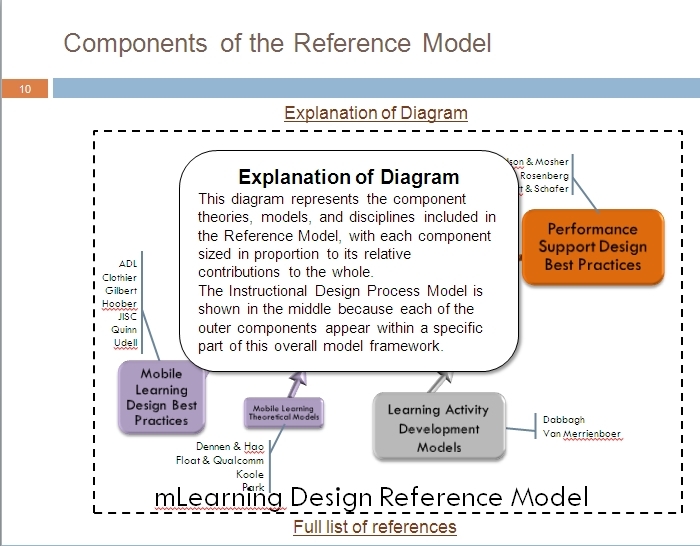 Peter Berking who is the lead of the MOTIF project just released the core slide deck for the newly adapted mLearning Design Reference model, and is now inviting us all to have a look at the reference model, and adapt it to our own needs. If we do have adaptations, Peter would love to hear about it, in order to add an extra layer of understanding to the model, coming from all of us practitioners. The slide deck is protected under a Creative Commons "Attribution-nonCommercial-ShareAlike 3.0 license"
Purpose: "From MoTIF project research, the learning community identified a need for instructional design processes optimized for the mobile platform that could most effectively inform, situate, and invite consideration of the new mobile learning approaches, device capabilities and usage patterns. This reference model is intended to address the need to inform, situate, and invite consideration of effective and innovative mobile learning approaches through following a mobile-optimized learning design process. As a reference model, it is an integration of existing theoretical and practical models rather than an original model. 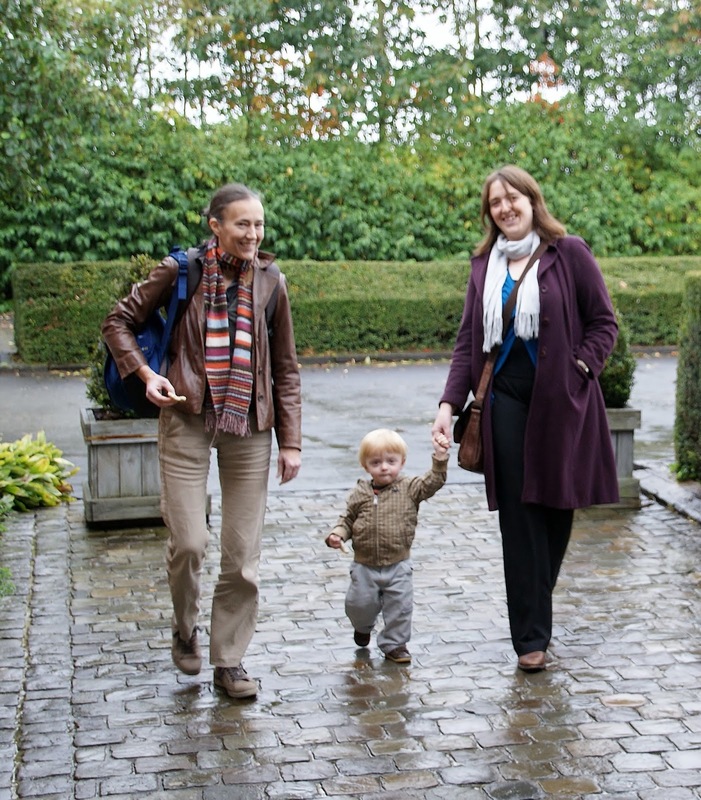 It has been developed through an open process via a community-based working group." The MOTIF project has been running for a few years now, and the reports of each stage can be downloaded from the MOTIF site (you do need to create an account, with a nice guarantee that while logging in, your data - including contacts - will not be copied or used in anyway). The slide deck is quite big (238 slides), but it is a 'work deck', which is filled with flow charts, performance support, design elements, conducting an instructional analysis, analysing learners and contexts, develop assessment instruments ... and it all starts out from the needs and goals that you want to achieve with your mLearning project. It is a really useful slide deck. I only went through it at this point, but I am going to try it out on a project soon, trying to figure out what I would adjust to make the reference model fit my own context and need/s. The slides are also set up to enable you to immediately click to extra information on the subject of that specific slide... nice. The referred to frameworks are also of interest (Koole, with the FRAME framework, and - one I really like at this point in time: the champions framework).